The use of timing during a Chapter 13 bankruptcy case in Ohio can transform a five-year payment plan into a shorter payment plan. Any income received during the month of bankruptcy filing is included in the calculation of the plan commitment period. The only relevant income is the income received during the six months prior to filing for bankruptcy. A chapter 13 bankruptcy can sometimes be strategically filed to exclude a Debtor’s highest earning months of employment. For example, an employee working a second job during the holiday season and expecting an annual bonus on January 1st should file in January 2019, because the income received during that month will not be included in calculating the commitment period. The benchmark indicator for a Chapter 13 bankruptcy payment plan is median family income. Debtors with income below the median family income for the State of Ohio income may be eligible for a shorter three-year payment plan. However, if the accumulated six months of income prior to filing for bankruptcy meets or exceeds the median family income threshold, then the minimum bankruptcy payment plan is five years. The U.S. Trustee Program has complied a median family income table for single earners up to families of four. The median family income for a single earner is $48,441, while the median income for a family of four is $87,321. These numbers are revised on a semi-annual basis. Filing for Chapter 13 bankruptcy in January 2019 could be beneficial for individuals and families who need to exclude their January 2019 income and can ensure that their income falls under the Ohio median family income statistic. If the above-mentioned scenarios apply, such individuals and families would be eligible for a three-year payment plan. However, filing after January 2019 would have a deleterious effect, forcing individuals to add their extra holiday income earned in January 2019 as well as any annual bonuses, which could result in an income above Ohio’s median family income and a five-year bankruptcy payment plan. 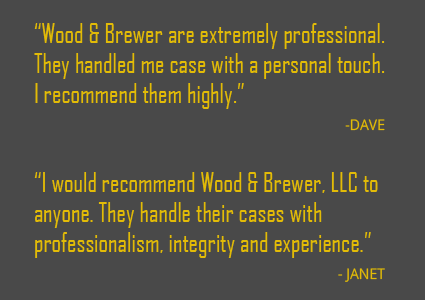 We welcome you to contact our team at Wood & Brewer LLC today! We offer a free consultation so you can take the first step with as little of stress as possible.